Lauren Sims (left), of Albertville, and Keely Smith (right), of Boaz, were sworn in as Court Appointed Juvenile Advocates by Judge John Mastin. The Court Appointed Juvenile Advocates (CAJA) of Marshall County have two new volunteers. 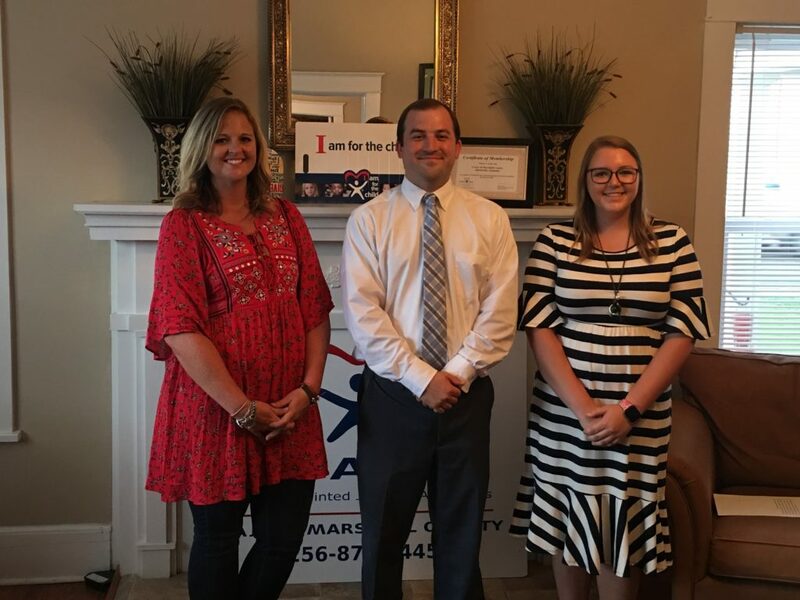 CAJA of Marshall County Executive Director Lesley Kubik said Lauren Sims, of Albertville, a teacher at Douglas Middle School, and Keely Smith, of Boaz, a pre-law student at Jacksonville State University, both participated in CAJA’s second training class of 2018. She said on Monday, June 25, the two new CAJA volunteers were sworn in by Judge John M. Mastin as CAJA’s following their completion of the 30-hour pre-service training that is required. overburdened child welfare system that is hard-pressed to meet their individual needs. She said CAJA volunteers are appointed by the court to conduct independent investigations, report their findings and serve as “a child’s voice in court.” She said children assisted by a CAJA volunteer find safe, permanent homes more quickly, are half as likely to re-enter the foster care system and do better in school. She said CAJA volunteers make a profound difference in the lives of the children they serve. Kubik said to visit cajaofmarshall.org for more information and to download an application or call the CAJA office at 256-878-1445.